Best known for starring in the successful E! reality television series “Holly’s World” and “The Girls Next Door,” Madison was also the headliner in PEEPSHOW at Planet Hollywood Resort & Casino for three and a half years. Madison not only played the title character Bo Peep, but eventually took on the singing role of Goldie Locks in the production. 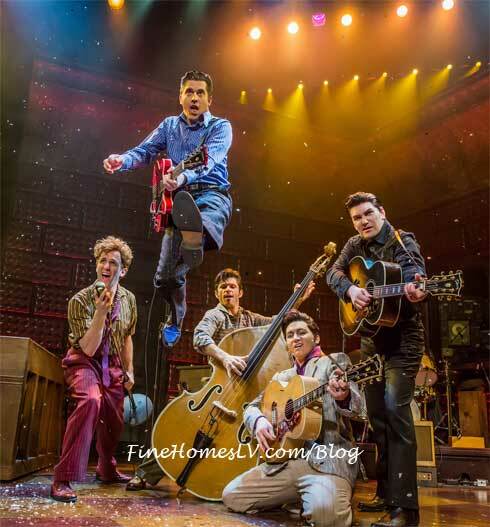 The Las Vegas company of MILLION DOLLAR QUARTET continues to welcome fellow performers to the stage to celebrate the music of the production’s era through live jam sessions. Madison will join the ranks of past guest stars including Bally’s Las Vegas headliner and one-woman vocal phenomenon, Véronic DiCaire, “American Idol” winner, Paris Las Vegas headliner Taylor Hicks, and Stratosphere performer Frankie Moreno. The Vegas cast of MILLION DOLLAR QUARTET features Benjamin D. Hale (Johnny Cash), Justin Shandor (Elvis Presley), Martin Kaye (Jerry Lee Lewis), Robert Britton Lyons (Carl Perkins), Marc D. Donovan (Sam Phillips) and Felice Garcia (Dyanne). Tickets are available at the Showroom box office, by visiting www.HarrahsLasVegas.com or by calling (702) 777-2782.